For which I am getting an error telling me that the site cannot be reached. Are there any known issues with the above address? This is the the address on the API documentation website. This is not the address on the documentation website. 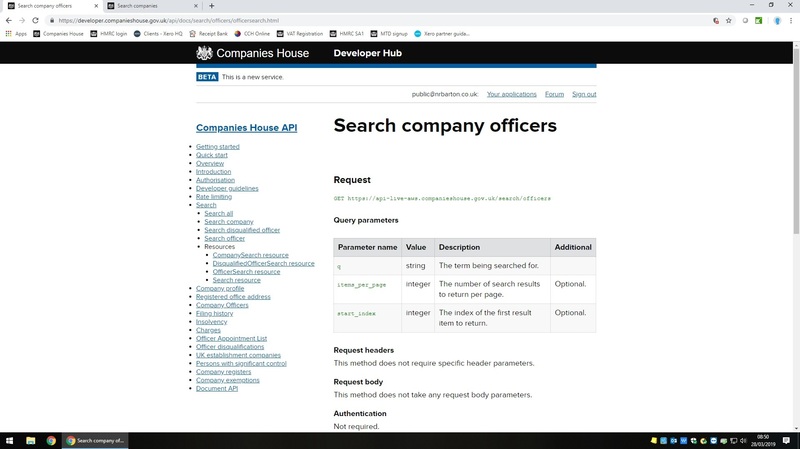 After returning to this on my computer this morning, this is the website i am taken to, and as you can see the GET request website begins with https://api-live-aws.companieshouse.gov.uk. It looks like you have a cached page there. BUT all that was changed via DNS. If you have a caching proxy, you will need to flush it. You may need to force a reload of your browser for our site. You could try a 'secret' browser session or 'Incognito' as Chrome calls it.